Last March 29, 2019, SM Sta. Mesa called for global action on climate change by celebrating Earth Hour at SM! 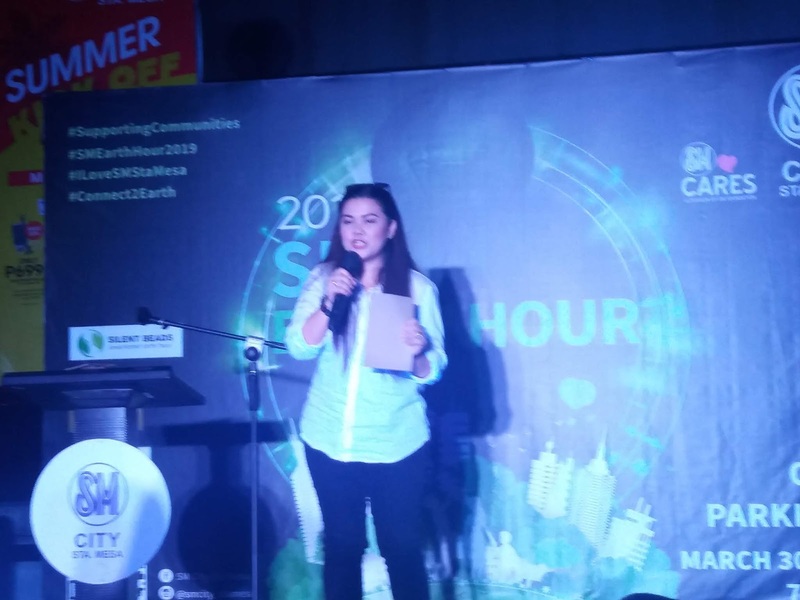 In observance of Earth Hour, 72 SM malls across the country took part in the symbolic hour-long lights-off at exactly 8:30PM local time. Now on its 11th year with SM, Earth Hour’s worldwide theme for 2019 is #Connect2Earth, which focuses on biodiversity. It seeks to raise awareness on climate change and help make the world better for every living thing. It calls for community involvement in helping care for the environment and all living species. The Earth Hour calls for greater awareness and more sparing use of resources. We can make genuine change by lessening human impact on the planet. Every little step counts. signaled the ceremonial lights off for Earth Hour at SM Sta. Mesa. 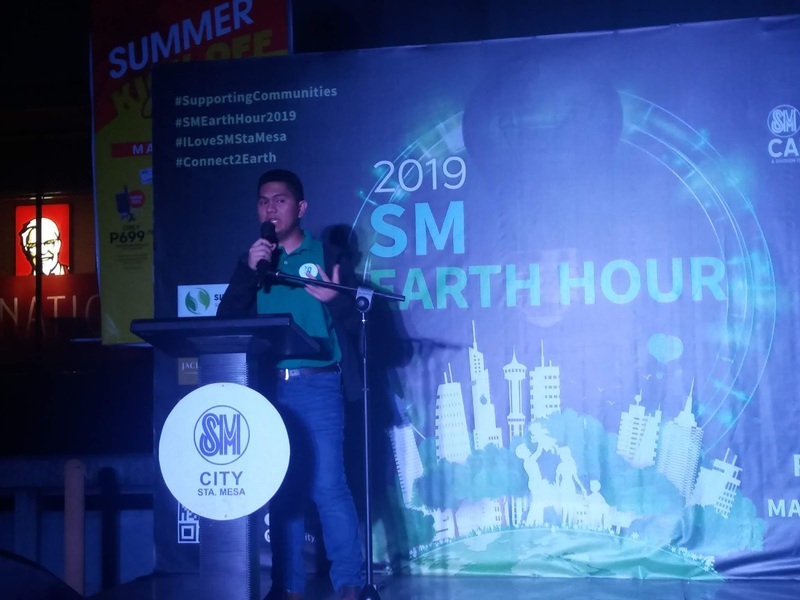 SM Sta Mesa also invited speakers from Bambuhay and other environmentally-responsible organizations to encourage all to participate in the global movement for Mother Earth. 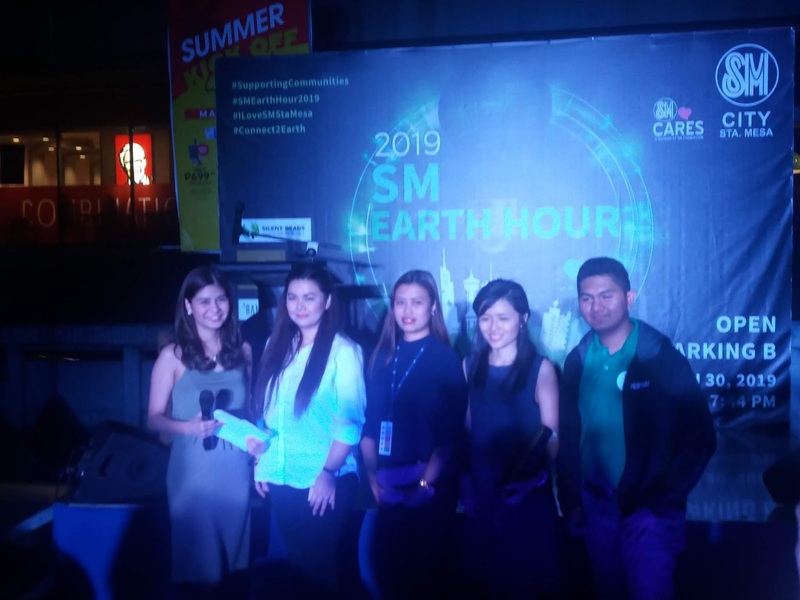 As a responsible mall developer, SM has several other environmental sustainability programs on top of Earth Hour observance. This includes the Trash to Cash recycling markets. SM’s trash to cash program was launched in 2007 and it is promoted across all SM malls today. Held every first Friday and Saturday of the month, it accepts plastic and PET bottles; metal cookware and kitchen items; tin and aluminum cans, paper scrap including books, newspapers, used papers, cardboards, cartons; scrap metals and furniture made of wood. SM ensures that its corporate social responsibility programs serve as a catalyst for positive change in the communities that it supports. To know more about SM Cares, you may visit www.smcares.com.ph, www.facebook.com/OfficialSMCares or email smcares@smsupermalls.com.